Fatigue, minor weight gain, depression, and brain fog may all be early warning signs of iodine deficiency. Iodine is an important trace mineral which is required for thyroid function in your body. Deficiency, due to a variety of reasons, is more common due primarily to soil depletion and the standard American diet (1). Learn more about iodine deficiency including other symptoms of this condition, what to do about it, how to know if you should supplement with iodine and more in this post. It turns out that iodine is a critical micronutrient required for proper thyroid function and for the function of other cells in the body. Each T4 contains 4 iodine moieties, which means you need 4 iodides to make thyroid hormone (2). Lack of iodine results in serious consequences such as thyroid disease or low thyroid hormone production. We'll talk more about how iodine deficiency manifests, but for now, let's stick to the basics of iodine. Your body can hold up to around 15-20 milligrams of iodine total. Of this amount, around 70% is stored in your thyroid gland. Each day your body uses about 150mcg (NOT milligrams) of iodine per day (3). Of this 150mcg, around 120mcg or so is used up by the thyroid gland to produce thyroid hormone. This leaves around 30mcg of iodine which is used up by breast tissue and skin tissue (important for later as we discuss the symptoms of deficiency). What's important to realize here is that other cells in your body need iodine as well, not just your thyroid. Your body has a built-in mechanism, or storage capacity, to help buffer against deficiency. 15-20 milligrams (abbreviated mg) may not seem like much until you realize that 1,000 micrograms are equal to 1 milligram. So your body stores around 15,000 to 20,000 micrograms of iodine in cases when you may be deficient. This means that you can tolerate a few days to weeks of sub-optimal iodine intake without suffering the side effects of iodine deficiency. But what if you don't consume iodine in that time frame? There is a real risk of developing iodine deficiency simply because the primary source of iodine in humans is found in the diet (4). And the concentration of iodine in foods depends upon the concentration of iodine in the soil. So what foods are high in iodine? Iodine is found in significant concentrations predominately in sea vegetables (kelp, seaweed, etc.). But when was the last time you ate seaweed or kelp? And this is why iodine has been added to salt and other foods in the United States. This was done because it is recognized that many people probably do not consume adequate iodine from natural food sources. But even though foods (such as salt) are iodinated, doesn't mean that you can't develop iodine deficiency. It's now more common to use specialty salts such as Himalayan pink salt or Celtic sea salt which do not necessarily contain iodine. This, combined with soil depletion, may explain why so many people may develop iodine deficiency even while living in the United States. As I mentioned previously, we know that much of the iodine that your body needs is used by the thyroid. It makes sense, then, that the symptoms associated with iodine deficiency have to do with thyroid dysfunction! Indeed, hypothyroid symptoms tend to be the most prominent symptoms seen in patients who are iodine deficient. At least 30mcg per day of iodine is utilized by other tissues in the body as well. Tissues such as breast tissue and skin tissue need adequate iodine intake. A reduction in iodine in these tissues may present with cyst formation. In breast tissue, this manifests as fibrocystic breast disease and in skin tissue, this may present as cystic acne. So, when it comes to iodine deficiency, it's important to realize that this nutrient will affect more than just your thyroid. Goiter formation - Goiter is a term used to describe a general enlargement of the thyroid gland. Iodine deficiency is known to cause goiter formation but the exact mechanism is not well understood. Goiter is often found accidentally by physical exam at a Doctor's office visit but it can also be visualized with ultrasound testing. Hypothyroid symptoms - Hypothyroidism is a condition caused by a reduction in thyroid hormone production. Because many cells in your body have thyroid receptors, low thyroid hormone causes many wide-ranging symptoms. The following symptoms may be associated with iodine deficiency (caused by hypothyroidism from decreased iodine): fatigue, weight gain, hair loss, muscle pain, cold intolerance, low body temperature, infertility, high cholesterol, menstrual irregularities and so on. You can read more about the symptoms of hypothyroidism here. Developmental issues in young children/kids - Iodine is required for brain development, especially in younger populations. Inadequate iodine intake, especially during pregnancy, has been associated with lower IQ in some populations. For this reason, it is very important that pregnant women and lactating women get adequate iodine intake (5). Pregnancy-related problems - Iodine deficiency has been known to be associated with miscarriage, preterm delivery, and congenital abnormalities (6). Because of this connection, it has been recommended that women who are looking to conceive supplement with at least 150mcg of iodine daily. These abnormalities can be completely prevented with adequate iodine intake, but supplementation may be required. Fibrocystic breast disease & Breast cancer - Iodine has been proposed to act as a protective agent against breast cancer and the development of cysts. Iodine replacement has been shown to treat fibrocystic breast disease in several studies (7). Cystic Acne - Supplementation with iodine can cause the eruption of papules which is thought to be secondary to the elimination of halides in the body. On the flip side, iodine deficiency may also be causing acne in some individuals (especially cystic acne) (8). Treatment with iodine is sufficient to eliminate acne. Are some people at more risk than others for developing iodine deficiency? There are several conditions which can increase the demand for iodine in your body and some conditions which can increase the amount of thyroid hormone your body is producing. If you put an increased demand on the body but don't increase the amount of iodine that you are consuming, then you may risk becoming deficiency. The same concept holds true for those who are producing more thyroid hormone. If your body requires more thyroid hormone production then more iodine will be required because iodine is an integral component of the thyroid hormone compound. Other conditions may block the uptake of iodine into the thyroid gland which can cause iodine deficiency even though iodine consumption is sufficient. What states cause the body to require more iodine? Pregnancy and breastfeeding are probably the most common. Pregnant women require higher doses of iodine because during early pregnancy the developing fetus is reliant upon the mother for thyroid hormone. That means, during early pregnancy, the mother must make enough thyroid hormone for both the baby and the mother - increasing the demand for thyroid hormone production on the mother. For this reason, it is recommended that pregnant women take almost double the normal daily recommended amount. The same idea is true of lactating women or women who are breastfeeding their child. The demand during lactation is not quite as profound as during pregnancy, but women who are breastfeeding should still take more iodine than normal adults. Other conditions which increase your risk of developing iodine deficiency include conditions which block the uptake of iodine by the thyroid gland. Conditions such as smoking (tobacco use), exposure to environmental factors (especially halides) (9) and consumption of goitrogenic foods/chemicals can all have this effect. In these conditions, it's possible to be consuming adequate iodine through your diet but still become "iodine deficiency" because the iodine that you are consuming is not being used by the body. This condition may be responsible, at least in part, for the prevalence of iodine deficiency symptoms even in areas which are said to be iodine-replete (10). If you have the symptoms of iodine deficiency does that mean that you should supplement with iodine? The answer is not as clear as you might think. It was previously thought that we could easily erase iodine deficiency by simply increasing the intake of iodine in the general population. This was accomplished by iodinating certain foods (such as salt) to help increase iodine intake. Some studies have suggested a link between increasing iodine intake and the development of the autoimmune disease Hashimoto's thyroiditis (11). At first glance, it seems that we are in somewhat of a difficult situation. Low iodine increases the risk of developing conditions such as goiter and hypothyroidism and high iodine intake has been shown to increase the risk of developing Hashimoto's. This probably isn't the entire story, however. It turns out that other studies have shown that adequate iodine intake is probably safe if it is also accompanied by adequate zinc and selenium. It is perhaps more likely that our reductionist approach to nutrient supplementation is the main problem here. We have the consider that even though our bodies need certain nutrients, we almost never find those nutrients in high concentrations all by themselves. More often, as is true in foods, nutrients always come in combination with OTHER nutrients. When you eat an apple you get fiber, vitamin C, phytochemicals, anti-oxidants, and so on. With this logic in mind, it may be that over supplementing with iodine is only dangerous if it is also accompanied by deficiencies in zinc and/or selenium which may exacerbate the problem. And studies seem to confirm that this may be the case, at least in some individuals (12). So how should you approach supplementation? I recommend using a supplement such as this which combines zinc, selenium, and iodine together. Is Supplementing with Iodine Dangerous? In most cases, using small doses of iodine is probably not dangerous as long as it is accompanied with nutrients such as zinc and selenium. It is certainly the case that many people, even those within the United States, may be slightly iodine deficient without realizing it. Remember that the primary way that humans get iodine is through the diet. And dietary levels are largely dependent upon soil concentration of iodine. Soil depletion of iodine and a lack of consumption of sea vegetables may increase your risk of experiencing sub-optimal iodine levels in the body. So in many cases, supplementing with iodine is actually helpful. But that doesn't mean that it is without side effects. Some individuals may experience side effects when using iodine and for this reason, it's safer to start low with supplementation and closely monitor your body. What kind of symptoms might you experience when supplementing with iodine? These side effects are not common, but if present they may indicate that you are taking too much iodine. Iodine plays a critical role in the function of thyroid hormone in your body. 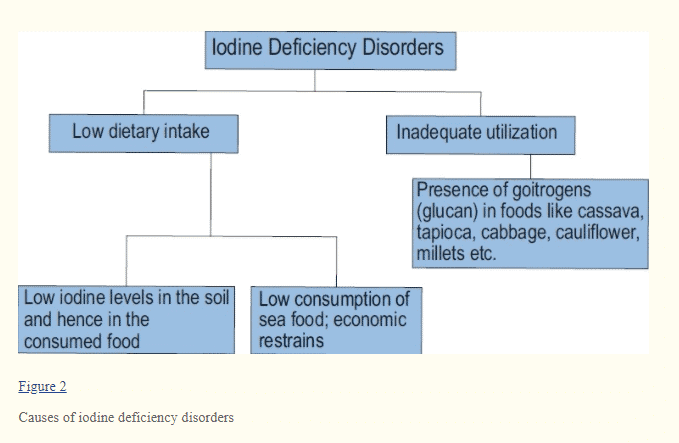 In today's world of soil depletion and poor nutrient intake from diets like the standard American diet, iodine deficiency is more common than once thought. Iodine deficiency, even a relatively minor deficiency, may result in symptoms such as fatigue, hair loss, minor weight gain, and depression. The best way to fight iodine deficiency is to use supplements which contain iodine in combination with other critical thyroid nutrients such as zinc and selenium. Whenever possible, do your best to get iodine from natural food sources. In most cases, supplementing is safe and very few people experience negative side effects. Certain conditions such as pregnancy, lactation, and smoking, can increase your risk of developing iodine deficiency because these conditions increase the demand for iodine in your body. Most healthy adults need around 150mcg of iodine per day, but pregnant and lactating women should aim for 250-290mcg of iodine per day. Are you suffering from the symptoms of iodine deficiency? Have you been able to tolerate iodine supplementation? 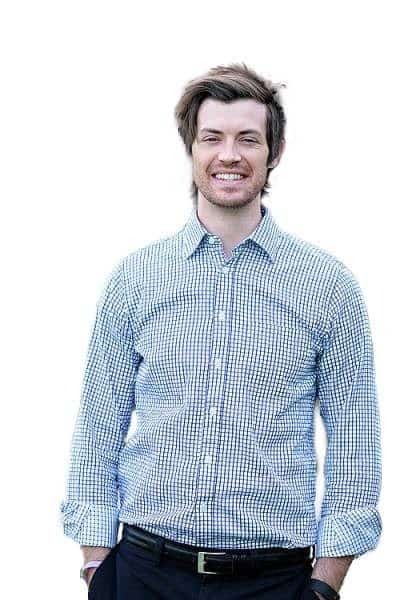 Do you also have thyroid disease?